Toyota's teaser image of the C-HR concept shows a sporty design with a sloping roofline. 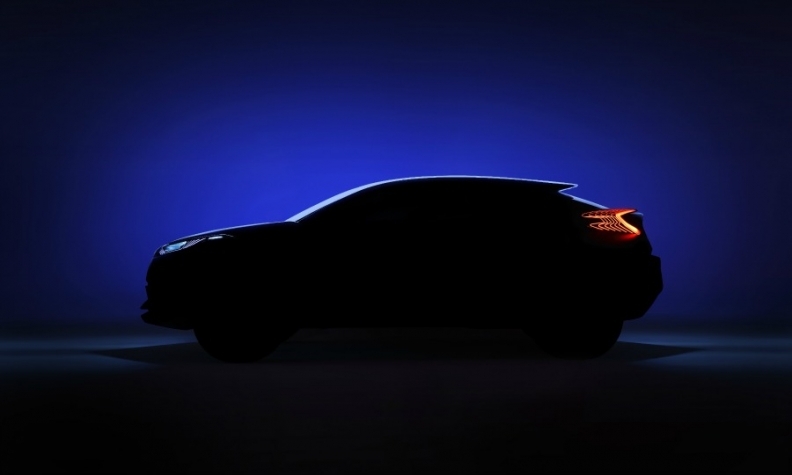 Toyota will unveil the C-HR concept at the Paris auto show Oct. 2. The concept previews a potential new entry in Europe's booming crossover segment. Toyota released a teaser image of the model but gave few details except to say the concept has a hybrid powertrain and will showcase a "powerful" new design language. Media reports said the C-HR previews a new entry to be launched in Europe next year positioned below the RAV4 compact SUV. The new vehicle will be badged as the Auris Cross, joining the Auris compact hatchback that Toyota sells in Europe. Toyota's SUV/crossover lineup in Europe includes the RAV4 and the poor-selling subcompact-sized Urban Cruiser. The automaker sold 32,059 RAV4s in the first seven months, down from 26,327 the year before, and just 290 Urban Cruisers, down from 898, according to JATO Dynamics. Toyota also said it plans to display the finalized design of its fuel cell sedan in Paris, ahead of a European launch next year.